Argentine Amb. 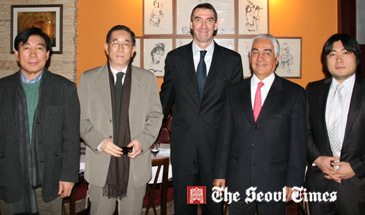 Carlos Alberto Arganaraz (2nd from right) poses with Chairman Park Yoo-Jung (left) of the Buenos Aires restaurant and its Manager Park Woo-Nam (right). At second from left is President Maeng Mu-Sup of The Ritz-Carlton Seoul and at center is Ritz-Carlton Seoul's General Manager Franz H. Richter. Argentine Ambassador to Seoul Carlos Alberto Arganaraz hosted a wine tasting to promote various kinds of Argentine wine at Buenos Aires restaurant in Jamwon-dong, Ganganm-gu, Seoul on Dec. 28, 2010. Scores of guests were invited to the wine tasting event held at noon on the day. Among the guests were The Ritz-Carlton Seoul President Maeng Mu-Sup, and its General Manager Franz H. Richter. A dozen of Argentine wine were introduced to the guests including local journalists. In the basement of the Buenos Aires restaurant two Argentine dancers performed Tango for the surroudning guests. 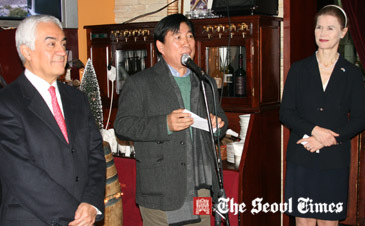 Chairman Park Yoo-Jung (center) of the Buesnos Aires restaurant speaks while Argentine Amb. 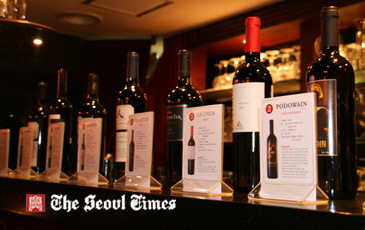 Carlos Alberto Arganaraz looks on during Argentine wine tasting held at the restaurant in Seoul on Dec. 28, 2010. At right is Ms. Alicia Irene Falkowski, counselor of Argentina Embassy in Seoul. The Argentine envoy has been active in promoting its culture and products among the local people in Seoul Korea since his arrival in Seoul some three months ago. Located in Seoul's posh Jamwon-dong area the Buesnos Aires restaurant has been serving as the center for promoting the Argentine cultures and food among the local Koreans and foreigners living in Seoul. 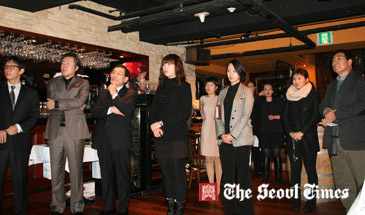 Chairman Park Yoo-Jung (right) of the Buesnos Aires restaurant attends the Argentine Wine Tasting event at his Buesno Aires restaurant with other guests on Dec. 28, 2010. In the basement of the restaurant regular programs of Argentine Tango dance are performed by the professional Argentine dancers due to the effots of Chairman Park Yoo-Jung of the Buenos Aires restaurant. The Buenos Aires restaurant has also been importing a variety of Argentine wines from Argentina for a number of years. For details or inquiries please contact the Argentine Emabssy in Seoul at 796-8144.